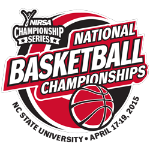 The Ohio State University’s Office of Student Life and Department of Recreational Sports are proud to host the NIRSA Basketball Championships at the Recreation and Physical Activity Center (RPAC) on the campus of The Ohio State University from Friday, April 22 to Sunday, April 24. More than 80 teams from around the country will be joined by qualified student officials from different institutions, premier collegiate recreation professionals and special guests during the tournament. The four divisions represented are Women’s Intramural, Men’s Intramural, Women’s Club and Men’s Club. Spectator admission for the tournament is free. In addition to the regular tournament, special activities include a 3-point contest and a slam dunk contest starting at 3 p.m. on Saturday, with a Men’s Division and Women’s Division champion for each contest. Pool play for the tournament will begin at 4 p.m. on Friday and continue into Saturday, with tournament play being held on Saturday afternoon and Sunday. Final scores from each game played in each division of the tournament will be available for viewing via IMLeagues.com. Student Life Recreational Sports offers members of The Ohio State University community an extraordinary experience to live active and meaningful lives while on-campus. Programs and services range from group fitness, aquatics, adventure trips, climbing, drop-in fitness and recreation, intramural sports, sport clubs, personal training, disc golf and many other activities. Recreational Sports is enhanced by its award winning indoor and outdoor facilities, including five indoor locations and more than 90 acres of outdoor space.